http://www.engineprices.co.uk/ Our low mileage used and reconditioned Engines offered for sale come with warranty for your peace of mind and you pay the cheapest possible prices. Engine Prices is a professional and dedicated business that deals in automobile engines. We supply high quality reconditioned and second hand engines for commercial vehicles (vans, trucks etc) and cars of almost all makes and models. 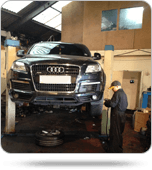 Our other services include state of the art vehicle diagnostic equipment for performance checking of engines. Engine Prices offers a full 6 month mechanical unlimited mileage warranty while our used engine units generally come with a 3 month unlimited mileage warranty. Engine Prices also offers free vehicle recovery services but these services are subject to distance. We have a team of qualified and experienced engine experts with dedicated experience in remanufacturing and fitting automobile engines, so you can be guaranteed of excellence and consistent service. 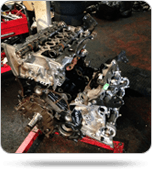 Engine Prices is one of the UK's largest suppliers and fitters of remanufactured & low mileage used car and light commercial vehicle engines and maintains an inventory of extensive number of engines ready to be fitted or delivered anywhere in the UK. In order to buy a reconditioned or used unit you can place an order online or call us. We can also deliver our high quality products Internationally. Engine Prices holds an ample range of reconditioned, remanufactured and used low mileage engines on exchange or outright sale basis; no matter what make or model it is. Our workshops are fully equipped and we have qualified and clued-up engineers. If you have an engine and will like to remanufacture it, please contact Engine Price for an initial estimation and delivery details. 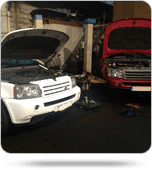 We can take the vehicle or just the engine from your premises to Engine Prices workshops and following inspection and remanufacturing, deliver the vehicle or your engine back to your location and as a way of saying thank you we give every car a free valet.